The 56th BFI London Film Festival in partnership with American Express started this week under the new creative leadership of BFI’s Head of Exhibition and Festival Director, Clare Stewart, bringing a rich and diverse programme of international films and events from both established and upcoming talent over a 12 day celebration of cinema. The Festival will screen a total of 225 fiction and documentary features, including 14 World Premieres, 15 International Premieres and 34 European Premieres. There will also be screenings of 111 live action and animated shorts. A stellar line-up of directors, cast and crew are expected to take part in career interviews, master classes, and other special events. 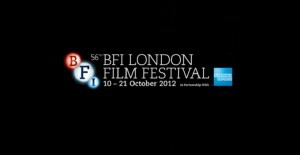 The 56th BFI London Film Festival will run from 10-21 October 2012. At Front Row Reviews, we are looking forward to bringing you a wide selection of reviews and interviews from a wide variety of films – from drama, to documentary, to comedy. Particular highlights include Sally Potter’s Ginger & Rosa, Tim Burton’s Frankenweenie, Ira Sachs’ Keep The Lights On, Michael Haneke’s Amour and Brandon Cronenberg’s Antiviral. From debut’s to premiere’s to well weathered director’s – we indeed to try and cover as much as possible. As well as reviews, we also have some great interviews coming up on the site; including Sally Potter (Ginger & Rosa) and Charlotte Rampling (I, Anna). To keep updated with Front Row Reviews, click here for our reviews and follow us on Twitter and Facebook to see where we are over the next week or so.